The 2013 WNBA season was the 17th season of the Women’s National Basketball Association. The regular season began on May 24, and playoffs concluded on October 10. 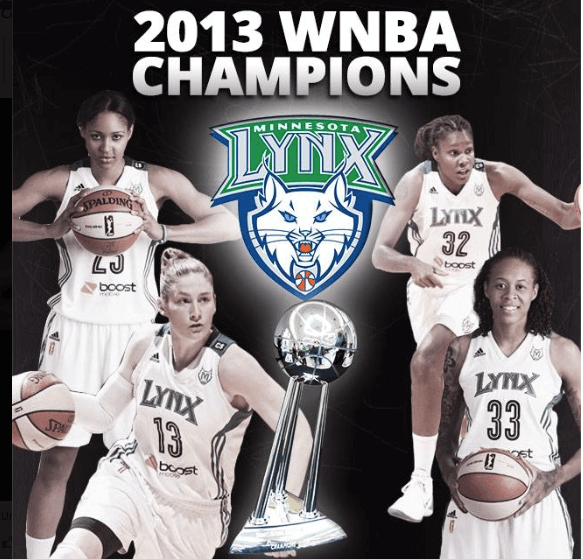 The Minnesota Lynx won their second league championship, defeating the Atlanta Dream three games to none in the 2013 WNBA Finals. The year represented a positive turning point for the long-struggling league. Both attendance and television viewership were up, driven by an influx of talented rookies, multiple teams reported that they were near a break-even point, and at least one franchise announced that it was profitable.